I am always amazed to see how certain Wisteria bloom so early in life. Here you see a newly budded wisteria vine and the first thing that grows is a new bloom. Not all Wisteria do this but most Wisteria sinensis do. 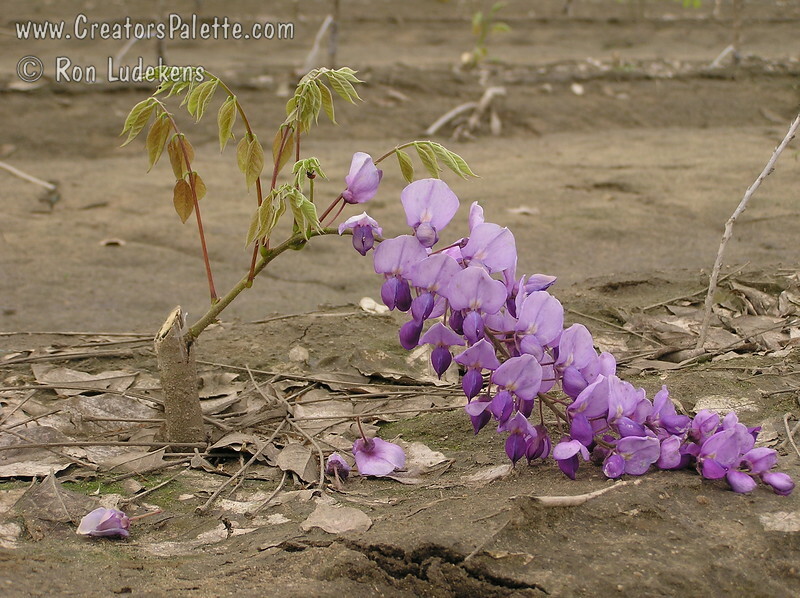 This is Cooke's Special Purple Wisteria - it always blooms first year.